General Manager of Fuel Cell System Development Div. Project General Manager of R&D Management Div. In this keynote presentation, Mr. Taiyo Kawai will describe Toyota’s views on e-mobility mentioning the development of HV, PHV, EV and FCHV. 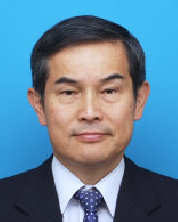 Mr. Taiyo KAWAI is the general manager of Fuel Cell System Development Division and the project general manager of R&D Management Division of Toyota Motor Corporation. He joined his current division in 2001. Prior to that, he was in charge of engine R&D and management of advanced R&D. He joined Toyota Motor Corporation in 1978 after receiving a Master’s degree in mechanical engineering from Tokyo Institute of Technology.